Robots have fascinated humanity for centuries. It is an interest that cannot be constrained to just one medium, but it would be foolhardy to deny that animation has provided a home unlike any other for giant robots. That's not to say they don't have their place in music and video games, but, come on. Since there hasn't been a better place than here (this blog) or a better time than now (Giant Robot Week), it's recommendation time. Mobile Suit Gundam is one of the most important pieces of animated storytelling. 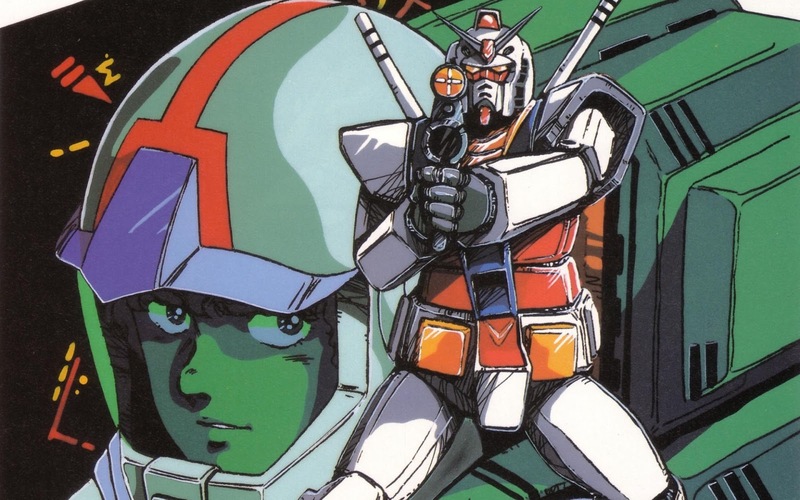 It's a story that brought more introspection to the giant robot genre and helped set into motion a number of trends that continue to this day. The opening narration does a good job of establishing the scene and getting across that humanity is involved in a sweeping war with itself for control of the planet. The primary focus is on a single ship and its crew doing all they can to survive. We see that on each side of the conflict there are people with a real humanity. MSG is at its best when it is highlighting the common thoughts and feelings that connect all people regardless of belief system or allegiance. While it might not be a super serious war drama, it certainly has heavy moments that have lingering effects on both the characters and the viewer. The original 43-episode television series from 1979 is my preferred form of Mobile Suit Gundam, but the movie trilogy, released between 1981-1982, condenses the plot and generally makes the animation much nicer to look at (since most people are put off by the old low-budget animation that shows up all the time in the TV series). Either way, it is an exemplary tale of a young man's awakening as he and his allies desperately fight to stay alive. 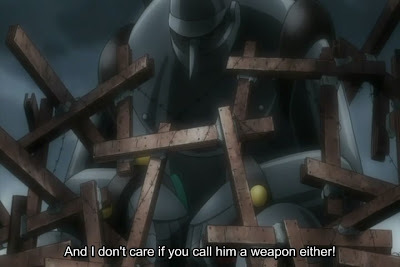 Giant robot don't always need to be used in a war of man against man. In fact they are often at their best when going toe to toe with monsters of equal or greater giantness. One such piece of animation is Aim for the Top! Gunbuster as you witness the growth of a girl from scared crybaby to humanity's final hope against massive space monsters. It is a six-episode original video animation (OVA) from the then-fledgling studio Gainax. It's a story as visually appealing as it is emotionally poignant. Gunbuster's use of relativistic time dilation is a neat wrinkle that is handled in a way that really adds a lot to the final product. Gunbuster is a hero's journey fueled by hard work and guts. You dig giant robots. I dig giant robots. We dig giant robots. Chicks dig giant robots. These are all things that Megas XLR would have you believe as facts. I cannot refute them, and really, who would? Megas adds some levity to my introductory recommendations. It's a loveletter from 2002 to giant robots, and to many other things as well, like videogames. There's no reason to beat around the bush and try to apply some deep context that isn't there: this show is fun, pure and simple. This is perfect for those that just want to unwind and forget real world troubles while watching a cartoon. It's easy to get into and watch, an incredibly important criteria when recommending things, yet it has a huge amount of Easter eggs for the keen-eyed. I can't make it through a list of recommended giant robot cartoons and not at least mention the grandaddy of them all in passing. 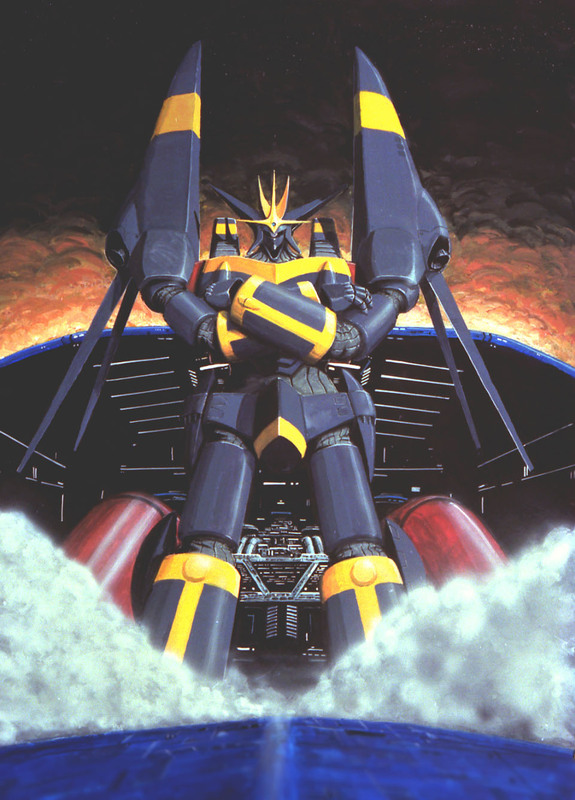 Mitsuteru Yokoyama's Tetsujin 28 (Gigantor on American shores) is the original giant robot anime. The show I'm recommending however is the 2004 television series of the same name. This Tetsujin 28 is all about mystery: a boy detective investigates a range of matters from the origin of his gigantic robotic companion to the nefarious plot of a cabal of international criminals. Action isn't the key concern, and that might put some people off. Anyone looking for an anime that can pull at all of your heartstrings will definitely want to give this 26-episode series a try. If Mobile Suit Gundam is almost a perfect masterpiece, then Patlabor is simply flawless. 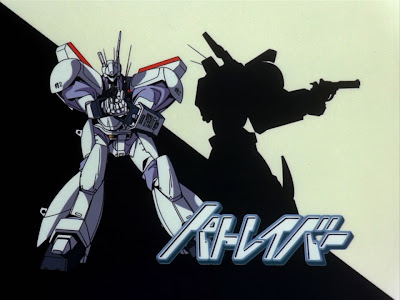 The original series, a 7-part OVA from 1988 sometimes known as Mobile Police Patlabor: The Early Days, is a relatively quiet look at the operations of a police unit tasked with handling crime related to 8 meter tall robots. The mechanical designs of the robot are beautiful, but the real stars of this show is the rather odd collection of quirky police officers. They are all goofy in one way or another, yet they retain a sense of humanity that is very real and believable. Life is breathed into the cast by the gorgeous artwork and animation. There's a lack of looming conflict, so the strength of the characters is even more important. Patlabor hinges on whether or not the viewer can form a connection and attachment with the cast. That Patlabor is unequivocally good is one of the few points of consensus amongst a group of manchildren that spew vitriol at the smallest of details is an accomplishment that cannot be overstated. A wise man once told me that six is a nice number, because it wasn't too much and wasn't too little. So I'm going to tack one last addition onto this list. 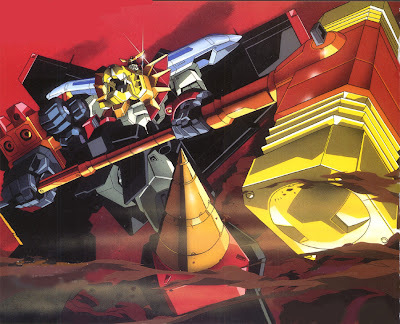 GaoGaiGar: King of Braves is basically a superhero cartoon with giant robots, so it's great for action lovers and comic book fans. There's almost always a new monster for the hero to fight each week in GaoGaiGar, and each week he defeats it through a combination of willpower, quick thinking, and teamwork. No matter how dire the straits there is always a sense of hope, and this culminates in one of the greatest final episodes ever. I'd say just go watch that episode, but you need to the previous 48 to really make it worthwhile. Six shows of varying length and tone is what I offer you in terms of an introduction to the animated world of giant robots. I'd urge you to pick one that tickles your fancy and give it a try. You won't regret it. Now excuse me as I continue down the mecha rabbit hole.